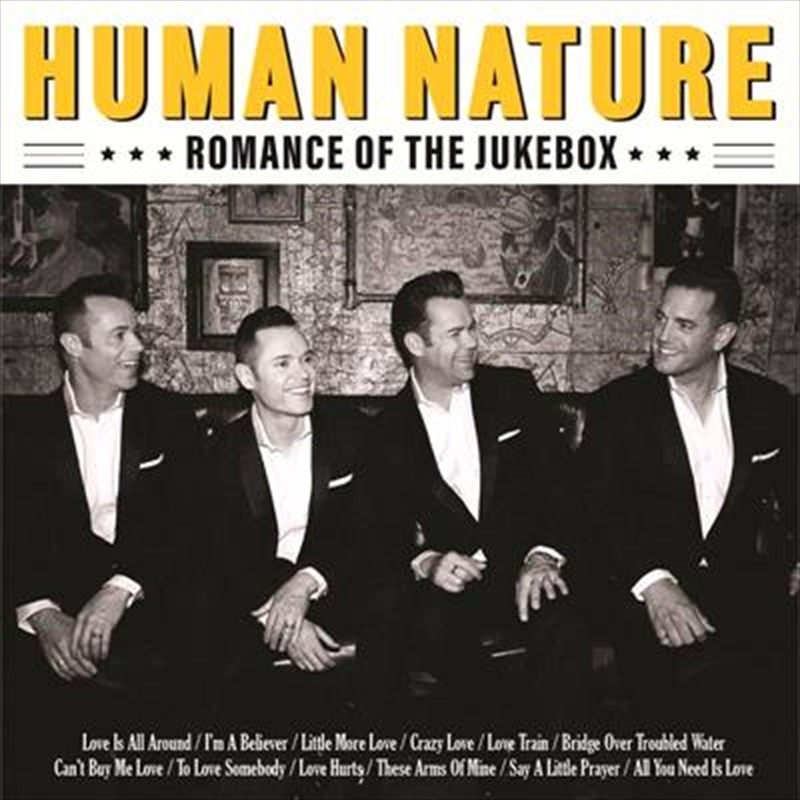 Sony Music Australia are proud to announce the forthcoming release of ‘Romance of the Jukebox’ by Australia’s finest pop-vocal groups of the modern era, Human Nature. Have you ever wondered why so many songs are written about love? Well to be honest, we think there isn’t anything else in life more worth singing about! The song may differ for each of us, but we ALL know that a great love song can define a moment in our life, an era of time or just forever help us recall a romantic night that seriously made our hearts race and time stand still. The Oxford Dictionary defines romance as “a feeling of excitement and mystery associated with love.” Other definitions write that it is “the expressive and pleasurable feeling from an emotional attraction towards another person”, and without a doubt, music is the greatest soundtrack to it all - especially the great love songs from the classic Jukebox era that we are singing here. The sound of this new album ‘Romance of the Jukebox’ has a rawness and vulnerability that really takes Human Nature in a new and fresh direction. Working for the first time with legendary producer Steve Fitzmaurice (Sam Smith, Seal, U2), has really helped highlight the unique vocals Human Nature have as a group as well as individuals – which will take you on an emotional ride. The brand new album ‘Romance of the Jukebox’ features 12 new tracks, including ‘Love Is All Around’, ‘ I’m A Believer’, ‘Love Train’, ‘I Say A Little Prayer’ featuring the powerhouse vocals of Dami Im plus the brand new single titled ‘A Little More Love’. Human Nature knew they would enjoy making this album, but were surprised with just how naturally their vocals sit inside these songs on the album and how much fun it was to hear it all come together. They feel still feel blessed every time they get to stand up to the mic to make a new album for you all. We know the world needs a little more love now more than ever, so Human Nature wanted to do their part and make ‘Romance of the Jukebox’ their heartfelt contribution.